How do I look up The Window Experts reputation? It is very wise to check out every company before your invite them into your home. Do you really want to spend the time with a salesman from an unlicensed or illegal company? How could you trust any information they may give you? The State of Florida provides an easy way for consumers to check out any company and every contractor. First find out if the company is a legal Florida Corporation as required by law (ch. 479) with SunBiz. 3 listings show up. Click on the active one, that’s us. Note the “Registered Agent Name & Address”. Then go back and enter the name of any other company you were thinking about inviting into your home. Also, very important, while you are looking up all the companies you are contemplating interviewing; write down the “Registered Agent Name & Address”. On the left side click on Search for a Licensee; then select “Search by Name”; then click the “Search” button. Now enter the name of the Registered Agent; hit “Enter” on your key board or “Search”. This lists all the licenses held by that person. You can then click on each license to see the details. At the bottom of the page there is a link “View License Complaint” this is where any complaints would be listed. Better Business Bureau is a trusted source although unlicensed contractors continue to sneak into the BBB system all the time. Regardless of the BBB report, be sure to check everyone out with the State of Florida’s official sites noted above. The Window Experts, Inc. is an Accredited Business and has an ‘A’ Rating. There have been no complaints against The Window Experts, Inc.
Who pulls the necessary permits? The Window Experts always pulls all the required permits and follows them through to the completion. It’s always a good idea to have your contractor pull all the necessary permits for any installation or construction done on your property. The person who pulls the permit is the one responsible for the quality of the work. An owner who is duped into pulling an Owner’s Permit is taking on a lot of responsibilities that he likely is not aware of or qualified for. What if my sills crack during installation? It is rare that this happens but in the event that a window sill is damaged during the installation it will be replaced with a new standard Carrera style marble sill. If the owner wishes to have something other than Carrera style marble, they may supply their own marble or other material, at their own expense, with additional labor added only if needed (basic labor is included). I can’t remove the old blinds and there is a large chest by one window and a desk by another. What should I do? You should also remove all the small stuff and all personal items. If your window treatments are special or expensive, you should remove them or have them removed. Our installers will move the big items like couches or book cases. If The Window Experts is required to remove and return window blinds, furniture and other property (Ancillary Property or Furnishings) in order to complete the installation, we are glad to do so however we shall have no liability whatsoever for any damages or loss to such Ancillary Property or Furnishings. Is there anything we need to do to get our house ready for your installers? It is the Homeowner’s responsibility to provide a clear area for installation around all work areas, inside and out. It is a good idea to remove personal items away form the window areas, you should definitely remove all the small stuff. Will I need to do anything after the installation like stucco work or painting? In the unusual event there is any stucco or drywall damaged during the installation, our Professional Installers will make the quality repairs as needed. If there was previous damage, usually water or wood destroying organisms, our installers will point this out to you. We can then make repairs for additional charges for labor and material. The Window Experts does not paint. You may need a little touch-up around the windows if there was stucco or drywall work done. Can I keep my current window treatments? Yes, most of the time your blinds will go back up and work as they did. Sometimes very old blinds just don’t hold up when they are moved. In those cases you may have to make a stop at your favorite supply house. Yes, We offer a wide range of finance options from low fixed rates for 20 years term to short term “Same As Cash” programs. We have the FHA Title 1 Home Improvement Loans which can give you a secured loan of $25,000 regardless of equity with no appraisal. Rates can be as low as 4.99% up to 9.99% depending on credit and terms. We also have several unsecured loan programs. What is best for you will depend on many personal issues. Please discuss your finance options with your Window Expert Consultant. See the Financing Available tab on the Home Page. If I know the sizes of my windows, can I get a quote over the phone? If you are going to self install, if you know exactly what window with which options you want, than yes. 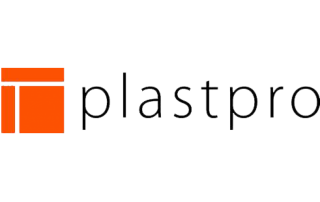 If you want installation, we need to see the jobsite before quoting. If you are not extremely well versed in window options, you may wish to take advantage of our free, no obligation, in home consultation. What warranties are on the windows? The best windows we supply come with a Limited Double Lifetime Warrantee. Other windows have a 30 year warrantee where others have a 10 year, a 5 year or a 3 year limited Warrantee. We can help you with your choice of over 12 different manufacturers and as the products vary so do the warrantees. Are impact windows burglar proof windows? There is nothing truly “burglar proof” however we do have heavy duty, high quality impact windows that are so hard to break into that they are virtually burglar proof. We installed our ‘virtually burglar proof’ windows in Fort Lauderdale. One evening the folks came home to find there was an attempted burglary. They are very happy they invested in High Impact windows in Fort Lauderdale for piece of mind and safety. I have the same house as my neighbor. Am I going to pay the same amount for my windows as they paid for theirs? The Tax Credit rebate from the government expired at the end of 2013. For windows and doors it maxed out at $500. FPL doesn’t offer any incentives at this time. Your “rebate” will be the lower power bill you have every month and the lower insurance bill you get every year. And as a bonus, after a big hurricane your home won’t be destroyed. Why do business with The Window Experts rather than any other window company? The Window Experts will help you with information to allow you to make informed decisions about your window choices. We have our own installers. We take care of your home with the considerations that we would extend to our own home. We always seek a 100% satisfaction rating from all our customers. Do you export to the islands? Yes, once your order is complete, the windows and doors are crated and delivered to the port and your shipper. Our prices are very competitive. The Window Experts, Inc. is licensed to do business through the state of Florida. We can deliver product almost anywhere. To install a complete job requires a minimum of 12 trips to the area by company personnel. This limits the service area to be from Miami-Dade County to St. Lucie County. 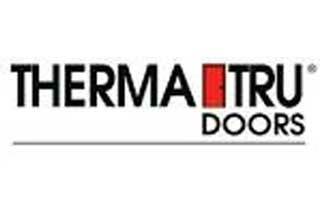 We have installed Hurricane glass doors in Pembroke Pines, Impact sliding doors in Royal Palm Beach and Hurricane proof windows in Weston, just to name a few areas. Anywhere from Miami-Dade County to St. Lucie County we can provide premium service. What is a Whole house Mitigation? You can get a Whole house Mitigation for a larger discount after your windows and doors are done. This requires a qualified inspector who will inspect the attic, the roof and the entire structure to ensure your home can withstand the torment of a severe hurricane. Will I get a discount on my home owner’s insurance if I put new impact windows in my home? You can qualify for a Hurricane Shutter discount if you upgrade or protect all openings, every window and door. The aluminum looks in good shape, why are they “worn out”? The weather striping wears out and deteriorates, the little bushings between the metal pieces wear out and the springs and latches break down. And on top of that, when they were new, they didn’t have a quality Low-E glass plus the aluminum frame made them energy wasters from the beginning. What changed in Builder Windows to make them wear out sooner? What is the expected “Life span” of my original Builder Windows? 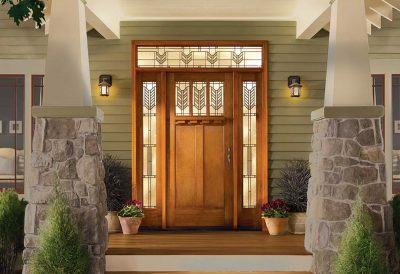 What is the cost advantage to impact windows versus hurricane shutters? Shutters are about half of the initial investment. Then factor in the on going maintenance of shutters. Shutters don’t provide 24/7 Break-in protection. To receive the ‘hurricane protection benefit’, someone must close and secure the shutters. Now factor in your increase in AC bills since your old windows don’t have energy glass, have drafty worn out weather striping and have highly conductive aluminum frames. So as you can see, although the initial investment is a lot lower, the cost over time is actually more than investing in Energy Efficient Impact Windows. Should I spend the money on a good Low-E glazing option? It is the Low-E glazing or coating that is going to give you the big reduction in your power bill. Getting the best Low-E is very smart money. Ask your representative for an Energy Analysis of your cost with various Low-E coatings vs. no Low-E coating vs. just old fashioned tint. The Window Experts has installed Energy Efficient Windows in Fort Lauderdale, West Palm Beach and all over South Florida. Most homeowners realize a savings of 30% to 60% of their air-conditioning cost. What kind of Low-E glass do you offer? Low-emission glass is coated with various types of metallic coatings. The purpose is to reflect the Long Wave frequencies of the electromagnetic spectrum but allow shorter frequencies which make up the visible light to come through. They also want to reflect the very short frequencies that we call UV. Its tricky science and needless to say not all Low E glass is the same. Should I get vinyl or aluminum windows? Aluminum conducts heat into your house that you end up paying the power company to pump out of the house. Aluminum also corrodes where vinyl doesn’t. A high quality vinyl will out last aluminum 2 to 1 or better depending on your proximity to the salt zone. Aluminum windows can be a little cheaper, just a little in the beginning. Energy Efficient Windows that out last energy wasting aluminum always makes sense. What options are there for the window frame material? Will my new windows keep my furniture from fading? It depends on which glass option you choose. 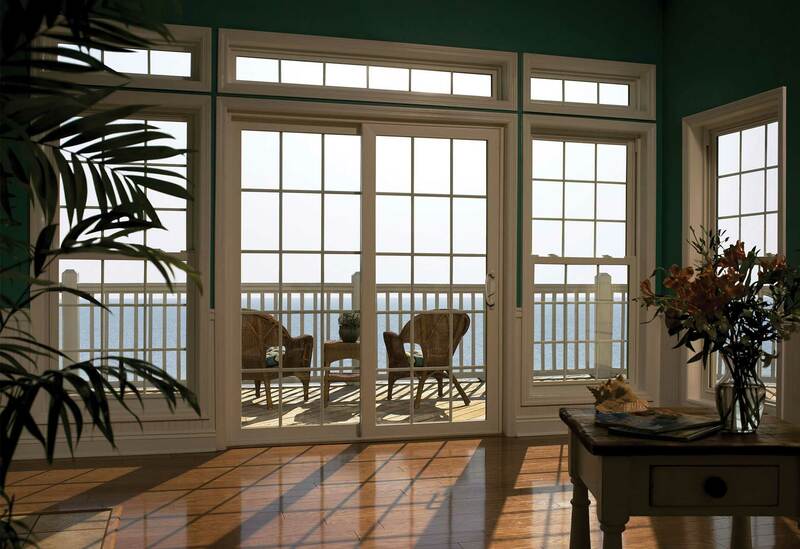 The Window Experts has glass options that stop 99.95% of the UV rays that fade your furniture and photos. 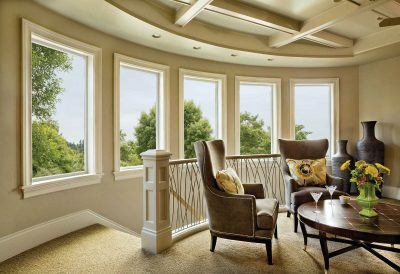 Many contractors, in order to quote a lower price, include a glass option that does little or nothing to reduce UV rays. Always ask to see the specifications on the glass being proposed and understand what those numbers mean then be sure it is written on the purchase order. Having a premium UV glass as part of your new replacement windows in Fort Lauderdale, Coral Springs or Wellington is very important to the longevity of the contents of your home. Do I need my Condominium to approve this project before I get estimates? If you live in a Condo, it’s a good idea to know the guide lines on type and color of the windows they will allow in the building. That way when you get estimates, they are for the right kind and color of window. After you select your contractor, the Condo will want to review the entire project. The Window Experts helped a couple with Replacement windows in a Palm Beach condo. Since they knew what the requirements were, our in home consultant was able to give them a price on the spot. Do I need my HOA (Home Owner Association) to approve this project before I get estimates? No, actually you should select your contractor first and allow him to assist you in acquiring the HOA approval. The approval needs to reflect the exact products and many times, the license and insurance certificate of the contractor. Many HOAs ask specific product and job related questions that you won’t know until you have selected your contractor. We recently helped a family with Hurricane proof windows and doors in Royal Palm Beach. They signed the order, we then proceeded to assist with the HOA approval and then we got the required building permits. The founder, Daniel Van Dyk has been helping families with replacement windows in South Florida and hurricane protection since 1978. 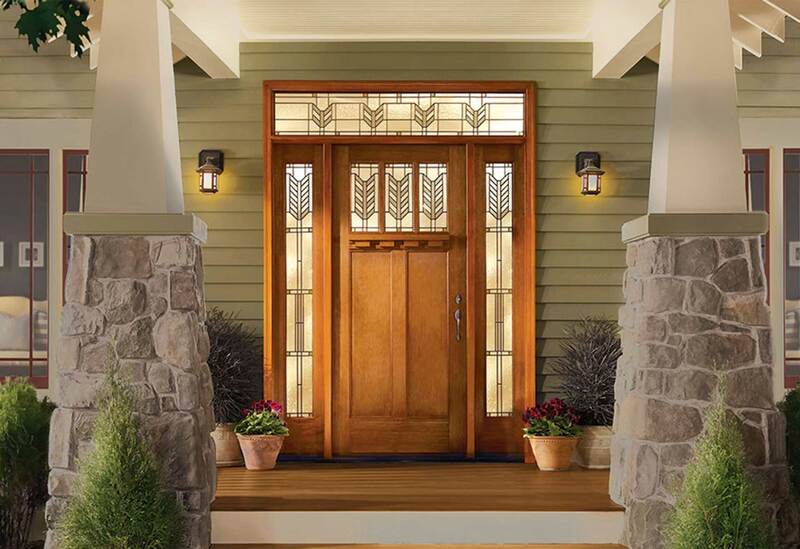 To better guarantee that whatever promises are made that those promises will be fulfilled to your satisfaction, in 2009, he opened The Window Experts, Inc. Today we offer options from many different manufacturers so we can always get the perfect selection for your home. What makes your windows different, aren’t all windows the same? What does “Code Approved” mean to me? 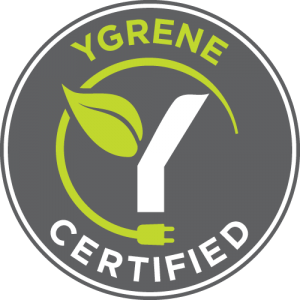 A product is submitted to the certified testing labs and rigorously tested to be sure they will protect your home in a hurricane. The test results and the paperwork are then reviewed by the state or county officials. If every thing meets the governing authority’s guidelines, the product receives a certificate of Product Approval or a Notice of Approval. A family wanted non-impact windows and doors in Coral Springs but upon researching their permit records, the City determined a Building Permit was never issued for shutters. As a result, we had to install High Impact windows and doors in Coral Springs. What is the difference between Dade County Approved and Florida Building Code? The High Velocity Hurricane Zone (HVHZ) is sometimes called The Dade County Code. If you are in Broward County, Miami-Dade County or The Florida Keys, you are in the High Velocity Hurricane Zone (HVHZ). In this area, you must have HVHZ approved products. The wind pressure required or “design pressure” (DP) is higher and the anchoring method is a little more stringent. When we install High impact windows in Pembroke Pines or anywhere else in South Florida, The Window Experts and our certified professional installers always install our new impact windows to exceed the High Velocity Hurricane Zone standards. For the rest of the State of Florida, the governing authority is Florida Building Code (FBC). All products must have FBC approval. The approval required will depend on which area or zone you are in. 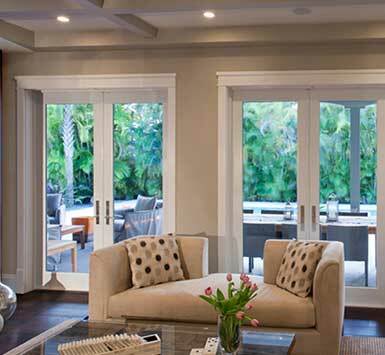 When we install impact sliding doors and windows in West Palm Beach, The Window Experts and our certified professional installation crews will still install our new impact windows to withstand the most extreme hurricane winds. A. The High Velocity Hurricane Zone (HVHZ) is sometimes called The Dade County Code. If you are in Broward County, Miami-Dade County or The Florida Keys, you are in the High Velocity Hurricane Zone (HVHZ). In this area, you must have HVHZ approved products. The wind pressure required or “design pressure” (DP) is higher and the anchoring method is a little more stringent. When we install High impact windows in Pembroke Pines or anywhere else in South Florida, The Window Experts and our certified professional installers always install our new impact windows to exceed the High Velocity Hurricane Zone standards. Do I need Miami/Dade Code approved windows or is there a lesser expensive way to go? How long does it take to get my windows after we have an agreement? Usually Hurricane Impact Windows are installed within 3 to 4 weeks after HOA and Permit approval. We offer options from many different manufacturers so we can always get the perfect selection for your home. We have high quality windows that reduce their air-conditioning costs 30 to 60%, maximize hurricane protection, and provide home security, beautification and come with Life Time Warrantees. These windows can save you so much in air-conditioning costs, they pay for themselves. 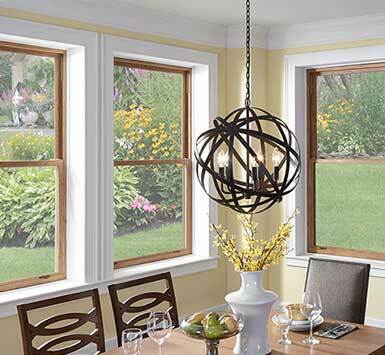 High quality, Non-Impact, Energy Efficient windows are also available. For the families that want a more basic window, we have several brands of Florida style, Aluminum, Dade County Approved, Impact windows at great prices. Impact windows provide shutter free hurricane, 24/7 protection and virtually break in proof peace of mind for your family. We offer Miami-Dade (HVHZ) ratings as well as Florida Building Code approved products, options for all levels of interest. Installations are performed by our own professional installers. This is critically important to the proper function of a window. Our installers will take care of your home with the sensitivity and love they show to their own homes. Whether selecting a company for your clients or for yourself, rest assured you are in good hands with The Window Experts. All installations permitted by the appropriate municipality and are completed to the strictest demands of the Florida Building Code – Coastal region (FBC) and the High Velocity Hurricane Zone (HVHZ). “The doors and windows you installed are wonderful. The men had to deal with our very old construction and they did a great job. I love how they cleaned up so beautifully. Our work is not complete until you love the way your home looks. If you are interested in working with us, we encourage you to contact us today. We’ll gladly provide you with a quote for your service needs.